Back when I started blogging, as a high school kid, I only saw this medium as an online and more public version of a journal. I'd share what I ate, how my day at school went, what tunes I'm currently listening to, and all those mundane things nobody gives an eff about. Fast forward to today's blogging scene, I still find it awesomazing how the medium has evolved. 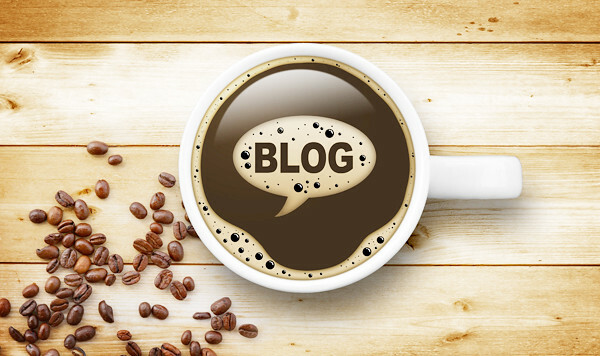 From mere online journals, blogging can now be considered as a massive communication and marketing tool utilized by professionals and enthusiasts alike, all consciously, or even unconsciously, reaching a scope of audience in the vast world wide web. We can safely say that in the country, blogging is a powerful form of digital media that helps individuals, brands, and even advocacies reach out and deliver their message more effectively. 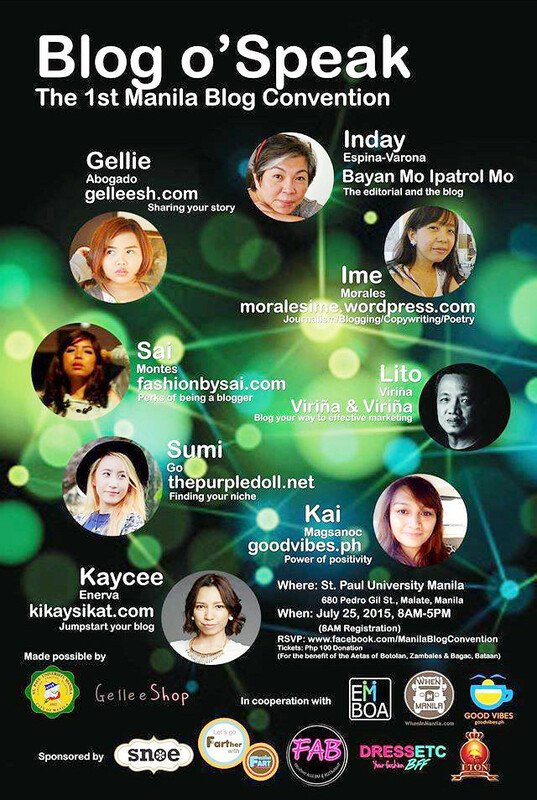 With this, St. Paul University Manila has stood up to organize the first-of-its-kind event in Manila -- Blog O' Speak: The First Manila Blog Convention, to introduce blogging not just to students, but to everyone interested to start their own blog. Speakers include media practitioners Inday Espina-Varona (ABS-CBN), Kai Magsanoc (goodvibes.com), Ime Morales (Freelance Writers Guild of the Philippines), Lito Virina (advertising practitioner and faculty), Gellie Abogado (gelleesh.com), Sai Montes (fashionbysai.com), Sumi Go (thepurpledoll.net), and Kaycee Enerva (kikaysikat.com). This is a not-for-profit event. Registration donation fees (minimum of P100.00) goes to venue cost, and earnings in excess will go to Aeta communities in Bagac, Bataan and Botolan, Zambales, and the H.O.P.E. Ablaze Program of St. Paul University Manila. For inquiries and RSVP, you may send an email to: spumresearchcenter@gmail.com and you may visit the event's Facebook page at: www.facebook.com/manilablogconvention. This event is in partnership with Snoe, F*ART Fashion Art, Gelleeshop, FAB Bar, Dress Etc., EMBOA (Ermita-Malate Business Owners' Association), Eton International School in Manila, GoodVibes.ph and WheninManila.com. Hi! It was so nice meeting you all! I learned so, so much from all of your talks.